Yesterday I posted some personal goals that I have for myself & our family in 2010. 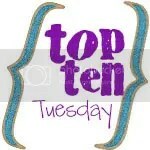 Today, I’m participating in a link-up with SavvyBlogging where I spell out all my blogging goals for 2010. And truth be told, I’m writing these out because these are my goals right now. 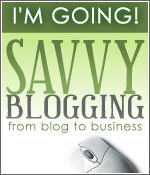 But I’m really excited to be attending the Savvy Blogging Event (if you’re going please leave me a comment – I’d love to read your blog & get to know you better before we meet!!) and the Blissdom Conference in February. I know I’ll learn lots of wonderful things while I’m there and my goals will either change or I’ll hopefully come away with some clear direction on how best to meet these goals!! Or at least that’s my goal anyways!! Purchase a Domain ~ I mean obviously I was NOT planning on anyone reading this when I chose “mlbh” as my domain name with WordPress!! The specific domain I wanted is of course already taken, so I’m just stalling on making a decision for 2nd best! Get a Re-Design ~ or rather have it redesigned! I really enjoy WordPress, but I hate the limitations of design. I can’t wait to have a more fun & updated look! Read and Comment More on Other’s Blogs ~ I read a lot of blogs, but I don’t comment near enough. I know how nice it is to get a really nice comment from a stranger and I want to give that in return. I also know how “unsure” it can make you feel if you have a lot of readers but hardly any comments!! Update my Google Reader ~ ohAmanda left a great tutorial on how to comment directly through Google Reader. I still need to follow these steps. I think it will help me a lot!! Comment more on Comments ~ Alot of times I email readers that leave me comments, but I also love how other bloggers leave comments within the comments on a feed. I want to do better at that in 2010. Create a Blogging Schedule ~ Sure I might deviate from it time to time, but I want to get in a good rhythm and flow for this coming year. Find my Niche ~ I think when people say this they automatically assume a niche to make money with. But honestly I didn’t start this blog with that intention so I’m totally fine without going that route. I just want to get in a groove that I really enjoy. I have a lot of opinions and a lot of interests but I’ve struggled with writing about those consistently. I have a few things I’m going to focus on the first of this year and see how that treats me (and you!). Brush up on my Writing ~ and brush up is probably weak at best. I love writing (and take pride in the fact that I was a published author in Elementary School through our local paper – ha!!) but too often I through throw (updated after this was published and someone kindly pointed it out … see – it’s a good thing this is a goal for 2010!!) a post together and hit publish. You can always tell the difference in a quick post and a though out post. I just want to make sure I deliver my best! So, those are my goals for 2010 … now I’m off to work on them! !